Citizens Advice Hartlepool has issued advice against potential scams. Consumer watchdogs in Hartlepool are warning people to be on their guard against scams after an investigation revealed the number of reported scams is massively underestimated. Citizens Advice Hartlepool has issued updated advice on how to protect people from falling victim to fraudsters and says many are to embarrassed to report cases. The Mail spoke to one woman who was almost conned out of over £1,000 by conmen they claimed she owed in unpaid tax. Janet Wilson, who lives in the town, received a recorded telephone message the day after she rang HMRC to check they had received her tax form. She said the message “frightened the life out of me”. Mrs Wilson then received a phone call. She explained: “They were saying I owed them thirteen hundred and something pounds and that they were going to freeze my assets. The caller asked if Mrs Wilson had assets to pay but she became suspicious when they started getting aggressive. “At one point he told me to shut up and listen to him, then said there was an arrest out for me,” she added. “I said ‘I’m not putting up with this rubbish, I’m ringing the police. “I rang the police straightaway and they said it was a scam. Genuine calls from HMRC about outstanding tax bills will include the person’s taxpayer reference number. Meanwhile, a BBC investigation suggests that millions of victims could have been scammed as the majority of people who are victims do not report it. 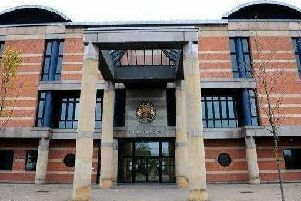 Citizens Advice Hartlepool recently highlighted a scam concerning the so called International Postcode Online Lottery. The advice service says it receives regular requests for information and advice on potential scams from local residents. Manager Joe Michna said: “Many people who are victims of scams are embarrassed to report it and feel ashamed. If in doubt, contact Citizens Advice Hartlepool, at 87 Park Road, or contact Action Fraud on 0300 1232040 or visit their website.